Hello friends! Today's card features the sweet CottageCutz Christmas Fawn and the CottageCutz Pine Tree Forest. I am sure you know I love to make scenes and this little fawn is perfect for this cozy winter scene. 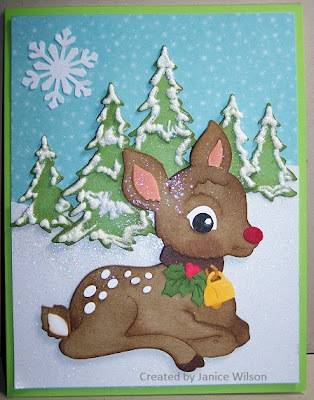 I cut the deer using kraft and white paper. I used Vintage Photo distress ink to shade the deer and ink the edges. I cut the Pine Tree Forest from green cardstock and inked the edges with Peeled Paint Distress Ink. After assembly of the trees I added liquid applique and glitter, than used a heat gun to puff it up. Glued everything in place and here is the end product. 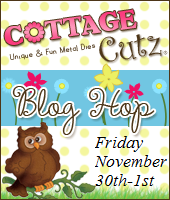 These 2 dies are on sale along with so many others at the Scrapping Cottage Store, but it ends soon! 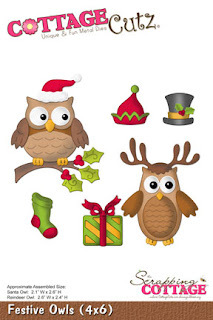 Get your shop on and have fun! 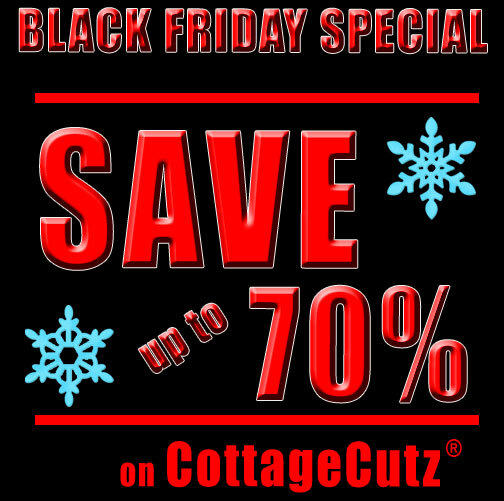 We will be announcing the Newest Members of the CottageCutz Design Team later this week, Thank you to all who applied, we have enjoyed looking at all your Beautiful work! This week I have a Christmas Treat Box. I started with the CottageCutz "Elegant Favor Box" die. 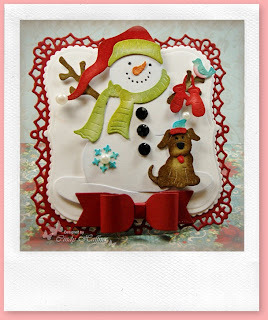 I added the mini scalloped circle die and than used the New CottageCutz "Mistletoe & Holly" die. As you can see I cut the holly twig into smaller snips of holly to decorate the four sides of the box. 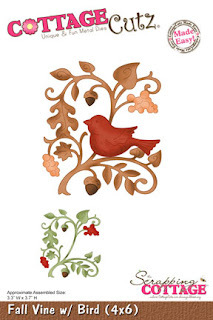 Using different holly leaves each time.I tinted the Scallop circle with red and green ink for a shadow edge. I tied the top of the treat box with white ribbon and tinsel yarn. Than added a full twig of holly into the bow. The Cottage Cutz "Elegant Favor Box" die came out with the Cottage Cutz Wedding Collection of dies, but as you can see it can be used for any event. The scroll design on the box is universal. 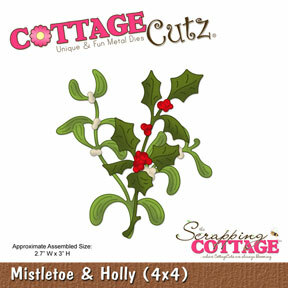 The New Cottage Cutz "Mistletoe and Holly" die has two twigs that can be cut separate or gathered together to create a cluster of greens. You can fill the box with candies, or small little gifts for the office. The box is a 3" x 3" square cube with a domed top so the box measures 5" high. A lot of room! 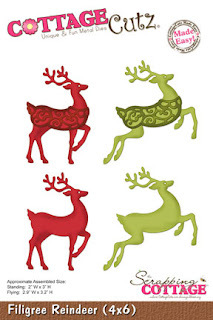 They would also make cute favors at each place setting at the Christmas table, a hang tag could be the persons name. Greetings Friends! 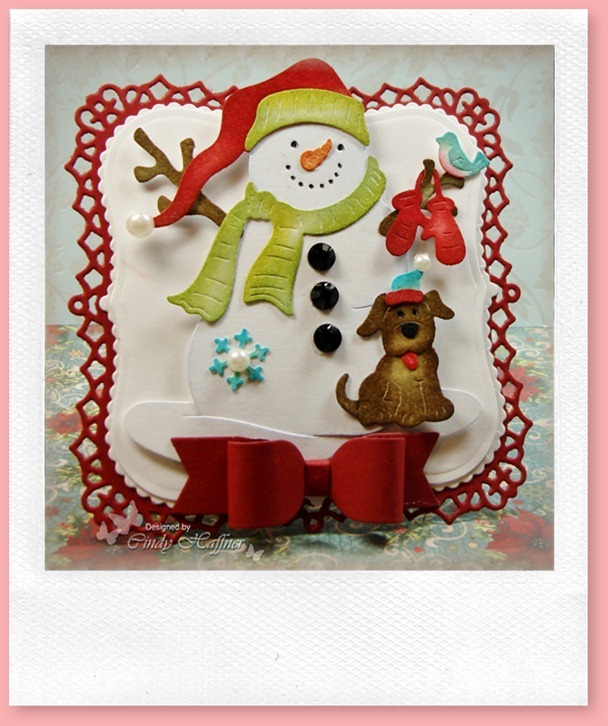 It's Carol today with a new creation from CottageCutz dies. 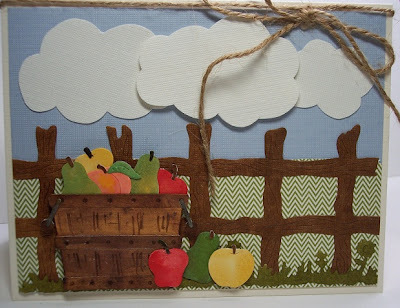 My card is made with the Fall Vine with Bird Die. What you don't think this looks like a fall card? Well, you are right. 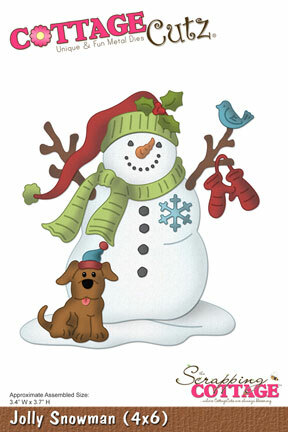 I wanted to show you that this die could be used for Christmas and probably and season depending on what you use to compliment the image. Isn't it cute. I used Recollection Glittered paper. Now, I do want to mention that when you do cut with that type of thicker paper to use your Grand Calibur machine to cut this out. You get a nice even pressure on your die which makes this cut out nicely. I used my Martha Stewart craft knife to press the die out. Easy peasy. 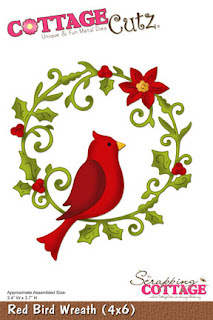 So whether you use this for a Fall card or a Christmas card you are sure to enjoy the beautiful creation you can make with it. Thanks for stopping by today. I really appreciate it. Have a great day!